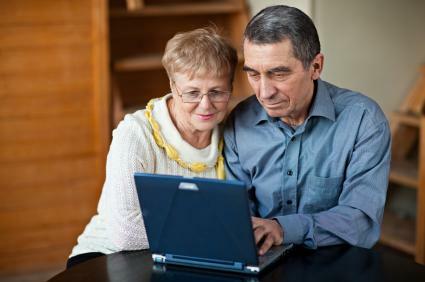 Internet sites often engage in ageism by targeting younger demographics. Did you get forced into retirement because of your age? This is a form of senior age discrimination. Discrimination against the elderly is a bias against the elderly based on their age and not on merit of the individual. While discrimination usually refers to negative behavior, it can also refer to increased generosity and kindness towards seniors because of their age. Society maintains a stereotype about elderly Americans. In many ways, the stereotype is negative associated with perceptions about aging. This negative stereotype is perpetuated by jokes and common phrases such as old fart, over the hill, older than dirt and more. This prejudice against the elderly is likely to shift as a person ages. For example, in 2009, baby boomers (people born between 1946 and 1955) will make up 28% of the population. That's 74 million Americans who are between the ages of 46 and 63. As this generation ages meeting the needs of the aging population will become more critical to avoid ageism and age discrimination. Respect for the elderly is important because history matters. Family educators recognize the contribution of elderly family members not only to the adult generation but also to grandchildren and great-grandchildren. Respecting the elderly means respecting their need for medical care, Medicare, Medicaid, educational services and even their needs as viable shoppers and watchers in the television market. CBS television, for example, attracts more viewers in the mature and elderly demographic than other network. Marketing dollars and television shows on most networks including daytime television tend to skew towards the younger demographics because modern American culture reveres youth. To be old is to have one foot in the grave. Arguably, older actors and actresses are replaced by younger, sexier versions every ten to fifteen years. Even senior citizens who look fantastic for their age are considered remarkable because they look so young, not because of their age and experience. Actresses like Susan Lucci and Jane Seymour fall into the elderly age brackets, but they are not thought of that way because of their youthful appearances. Mentally ill, physically ill, senile, useless, isolated, poor and impotent are the most common stereotypes associated with aging. Overcoming these stereotypes is a vital part of day to day life for seniors. The key to overcoming these stereotypes is to live life to the fullest, enjoy regular exercise, mental stimulation and social activities with others. Aging Tip: Don't live life based on the expectations of others, but on personal satisfaction.